We have received 14 reviews of Countless . You can add a review or scroll down to read reviews. To send in your review of Countless , please fill in the info below and click the button labelled Send Review Now. Reviews will be checked by our team before they appear on the website. Your last name will not appear on the site, but we need to know who you are in case you win a prize! 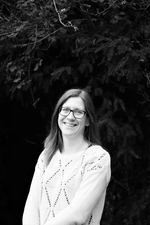 Karen is a graduate of Somerville College, Oxford, and a project manager by day who’s become adept at writing around the edges (strong coffee and a healthy disregard for housework help). Karen lives in Wiltshire with her family. When Hedda discovers she is pregnant, she doesn't believe she could ever look after a baby. The numbers just don't add up. She is young, and still in the grip of an eating disorder that controls every aspect of how she goes about her daily life. She's even given her eating disorder a name - Nia. But as the days tick by, Hedda comes to a decision: she and Nia will call a truce, just until the baby is born. 17 weeks, 119 days, 357 meals. She can do it, if she takes it one day at a time. A confirmed bookhead since early childhood, Karen wrote her first story about Bantra the mouse at the age of twelve, then put away the word processor until her first child was born when she was overtaken by the urge to write. 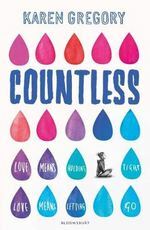 Countless is Karen’s first Young Adult novel. Her second, Skylarks, will be published in May 2018. I really enjoyed this book, it gave me a better understanding of eating disorders and how hard it must be for people to overcome them. It really showed how even if you are struggling with something, you can always persevere and succeed if you look at it with a good attitude. I really enjoyed this book and was a little sad when I'd finished it! You have to read this book! Kaitlyn gave Countless 5 out of 5 and now plans to read All About Mia by Lisa Williamson. I thoroughly enjoyed reading this book. It gave a very interesting insight into the mind of a person with an eating disorder without making the issue seem trivial. I empathised a lot with the main character, Hedda and her story. I also thought the ending was appropriate to the story and realistic to real life. Beth gave Countless 5 out of 5 and now plans to read All About Mia by Lisa Williamson. Gripping. Heartbreaking. Amazing. This book was amazing. The colloquial terms allowed for the book to be relatable, whilst still establishing unique characters. The narrative was intriguing, and the main character made me feel sympathetic. I would definitely recommend this book to everyone. River gave Countless 5 out of 5 and now plans to read Noah Can't Even by Simon James Green. I really enjoyed this book. It didn't try to sugarcoat or trivialize the issues of mental health, eating disorders and teenage pregnancy, it focused on some very harsh realities. Mrs gave Countless 5 out of 5 and now plans to read All About Mia by Lisa Williamson. This book was a heartbreaking insite into the mind of a girl with anorexia, I thought each character had each their own story that had to be thought about every time they did something unexpected or unusual. The author was fully able to express so many thoughts and ideas through the characters that Hedda meets and mourns and whithout doing this I feel the storyline wouldnâ€™t have been so interesting and realistic. Hannah gave Countless 5 out of 5 and now plans to read Troublemakers by Catherine Barter. This book is a whole new take on love story. Like travelling a bumpy road in a car made of paper, I felt every dip of loneliness and defeat and every soaring moment of pride and triumph. Nia is a dark and brooding character, constantly on Hedda's shoulder, while Rose manages to be the light of Hedda's life. This book is truly beautiful and though it doesn't necessarily have a happy ending, it manages to inspire hope and motivation in even the darkest moments. Poppy gave Countless 5 out of 5 and now plans to read Noah Can't Even by Simon James Green. I really enjoyed this book because I found the storyline quite interesting and very deep. I thaught that the characters were believable. Grace gave Countless 5 out of 5 and now plans to read All About Mia by Lisa Williamson. A truly amazing, deep story. I love the emotion and development of Hedda's feelings. The story is almost brutally honest which I love because it doesn't sugar-coat the seriousness of anorexia. I feel like Countless is a real eye-opener into the world of mental health and the harsh reality of it. Hedda is far from perfect and she isn't a hero who saves everyone else which is why I like this book so much. Also, the philosophical meanings in the metaphors throughout the book are poignant and have kept me thinking and contemplating the deeper meanings. Heather gave Countless 5 out of 5 and now plans to read The Crash by Lisa Drakeford. I enjoyed this book because it is a believable story with characters you can easily imagine. It has a strange and slightly depressing tone as Hedda is fully in the grip of her personified eating disorder but has a good and conclusive ending. Jem gave Countless 4 out of 5 and now plans to read All About Mia by Lisa Williamson. I found this book really believable, Hedda was a great central character: flawed but interesting and with good intentions. Miss Burns gave Countless 5 out of 5 and now plans to read Troublemakers by Catherine Barter. I love this book and I would deffinatly recommend it because its just absolutely incredible. Some of the choices she makes I think were wrong but I think that other choices that she makes we the right ones. Bethany gave Countless 5 out of 5 and now plans to read Noah Can't Even by Simon James Green. I have never read a story like this before, however I found it quite negative and stressful to read, but at times it could be the complete opposite and it gave me more hope. I found the characters believable, particularly Hedda. Emily gave Countless 3 out of 5 and now plans to read All About Mia by Lisa Williamson. This book is amazing. It's about Hedda, an anorexic girl who finds out she's pregnant. When she gives birth to her beautiful daughter Rose, her life flips upside down as she struggles with love, money, health and happiness. It's heartwarming and sweet, it's a brilliant book. Well done,Karen Gregory!!! Kiera gave Countless 5 out of 5 and now plans to read All About Mia by Lisa Williamson.